The need for organic plant breeding and variety testing has been talked about for a long time but little has been done. 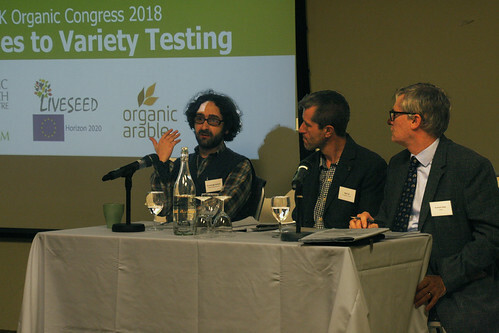 These workshops aimed to investigate what is needed from organic plant breeding, the threats and opportunities that the so called ‘novel breeding techniques’ might offer as well as look at an innovative and novel approach to variety testing. This session focused on the results from the 2017/18 organic winter wheat LIVESEED trials. We discussed opportunities and challenges presented by the participatory model, how we envisage the approach expanding and options for ongoing funding. Seed breeding: How will varieties fare in the field, mill and bakery? Novel breeding techniques: do they have a role? 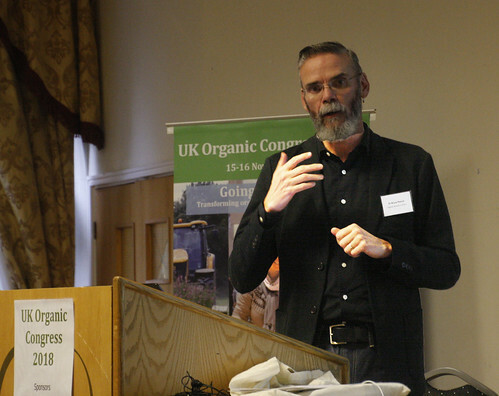 A practical session reviewing the outputs of a workshop onwhat opportunities and threats the new gene-editing technologies pose for the UK organic sector. Discuss the implication of these techniques to help form our outlook going forwards.